In many ways, weighing risk and reward is instinctual and engrained in us from an early age. A child who chooses to climb up onto the edge of the counter and balance himself precariously as he reaches for the cookie jar behind the cupboard door has done so because he has evaluated the risk versus the reward. He knows that this endeavor is not safe and the likelihood of mom or dad catching him may be high, but he has decided to take these risks because the reward is delicious and full of sweet chocolate chips. While the rewards often come in the form of money and rarely in the form of cookies, the concepts of risk and reward in the worlds of finance and investment are also straightforward. Organizations examine risk and evaluate it against possible rewards before making decisions that could have a significant impact on the company’s bottom line. The calculation companies typically employ in weighing these factors is relatively simple – an organization’s net profit is divided by the price of its maximum risk. While risk and reward in and of themselves are simple concepts, it is often easy to overlook a detailed analysis of each, both individually and collectively, while engaged in a comprehensive risk management process. Here are some key considerations to keep in mind to ensure you’re giving both risk and reward due attention in your analyses and organizational processes. It is important that rewards are defined beyond a simple positive for the bottom line or ensuring your organization stays in the black. Rewards should be spelled out and measured against the organization’s objectives. While most of your work may focus on financial rewards, it is important that non-financial rewards are also examined and weighed in any decision-making processes. Non-financial rewards may relate to the organization’s image, company culture or customer satisfaction among other measures. 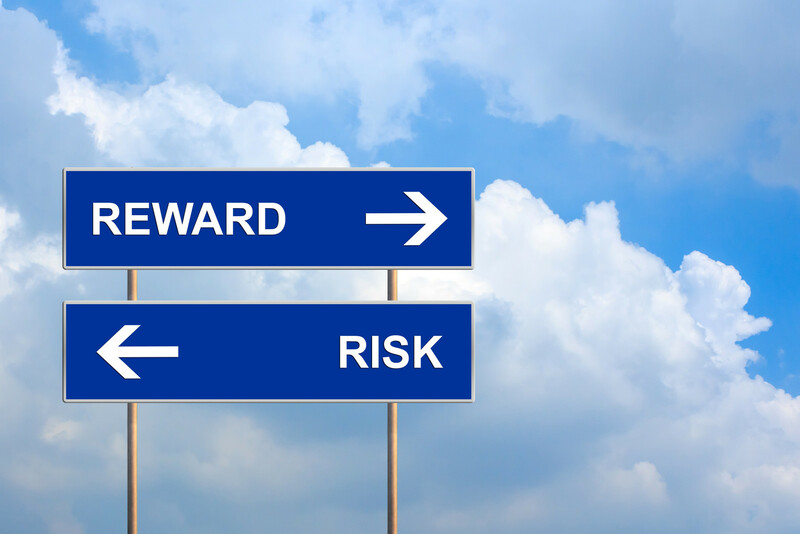 While it may seem overly simple, a risk-reward analysis is an effective tool in assessing the risk vs. reward of various options. A square comprised of four boxes in its interior, the tool provides a range of four levels of risk and reward: positive, equal high, equal low and negative. Risk is indicated by the X axis and reward runs along the Y axis. Using the tool is as simple as plotting your risks and rewards. Contact us today to discuss how we can help you more accurately assess your risks and rewards for the risk management process.